This delightfully scented 70% organic aloe vera and tea tree hand wash uses high concentrations of both skin-boosting aloe vera and anti-bacterial tea tree. This hand wash contains a unique blend of mild cleansers protecting skin from excess dryness. Pure essential oils are added to further benefit your skin, feeding and caring for it. For greasy and oily hands, apply hand wash liquid to dry hands and work into the grease, adding water to lather up and rinse off. 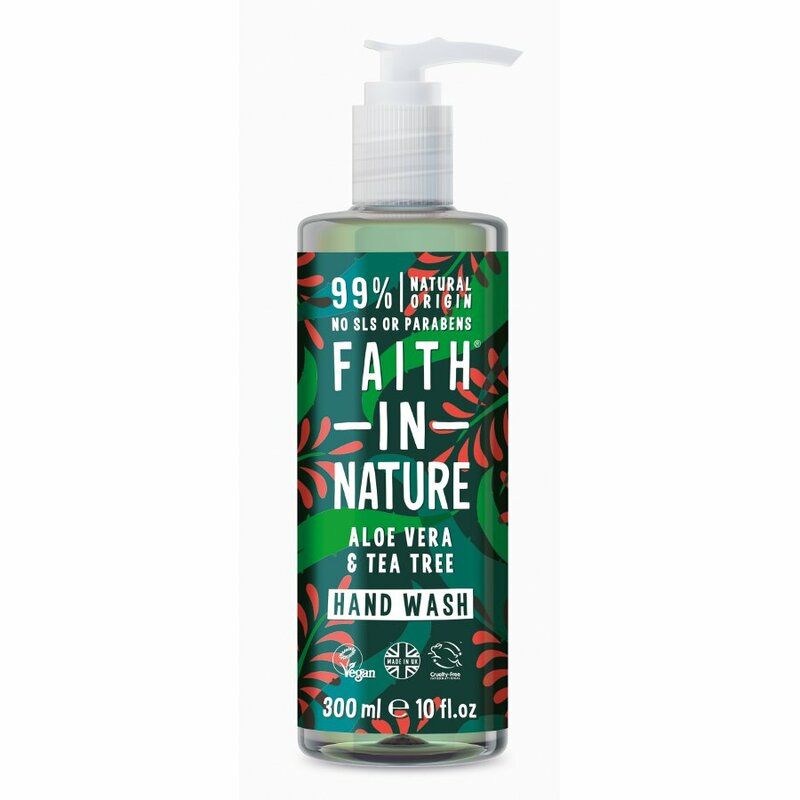 The Faith In Nature Aloe Vera & Tea Tree Hand Wash - 300ml product ethics are indicated below. To learn more about these product ethics and to see related products, follow the links below. This is a product that I have used for a long time, but usually buy from a shop. I like the smell & am a great fan of both tea tree oil & aloe vera. Combination is a family favourite so thought would try as a handwash. 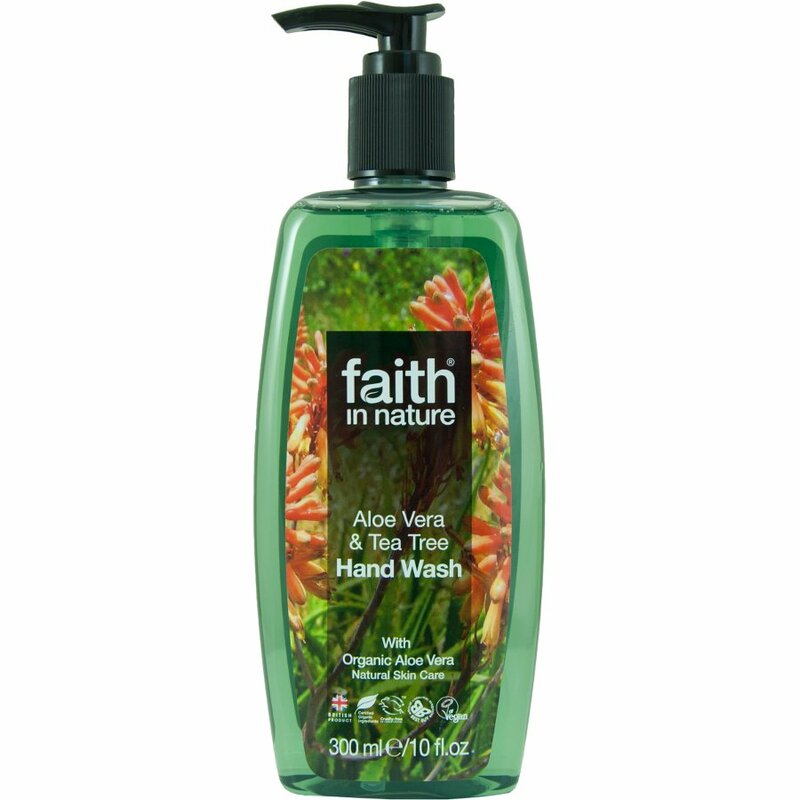 There are currently no questions to display about Faith In Nature Aloe Vera & Tea Tree Hand Wash - 300ml.